Looking to cement yourself as the best of the best in the Tetris world? 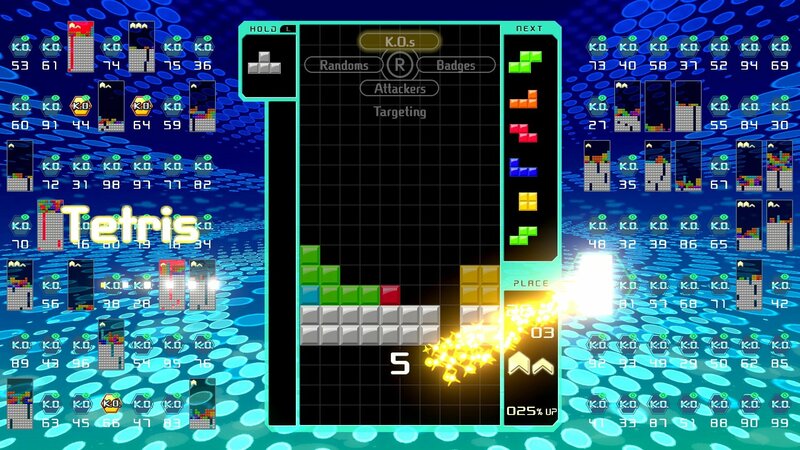 Compete in the second Tetris 99 Maximus Cup, which is set to take place this weekend. 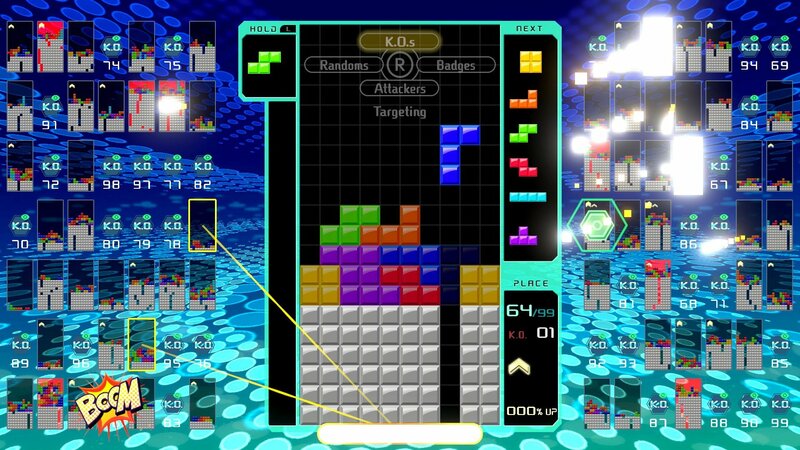 Tetris 99 is seeing Tetris players of all stripes test their mettle against one another on a daily basis. 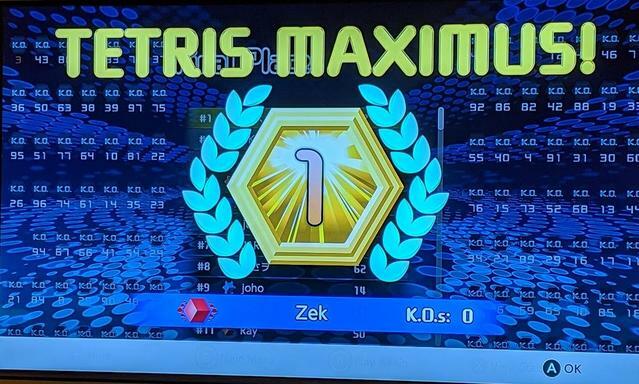 The competition to be the best has only intensified with the introduction of the first Maximus Cup, which challenged players to win as many Tetris 99 sessions as possible in a short time period. Now the Maximus Cup is coming back, but with a few changes. Just weeks after the first Maximus Cup, the 2nd Maximus Cup will have more of a leaderboard format. While players are still encouraged to finish ahead of the other 98 players in a given session, high placements are rewarded with points that go towards an overall leaderboard. For every 100 points, players will receive a "Tetris Maximus," with the overall winner being calculated at the end of this Maximus Cup. The 2nd Maximus Cup is set to run from Friday, April 12 at 6AM PT through Sunday, April 14 at 11:59PM PT. If you manage to finish as one of the top 999 overall players over the course of this period, you'll win 999 Nintendo Gold Points. Remember that each Nintendo Gold Point is worth a penny, so that's roughly a $9.99 value for the winner. And while that may not sound like much, you'll also have a lot of bragging rights. Because keep in mind that the Tetris world is highly competitive. If you haven't picked up Tetris 99 yet, it is free to play as part of the Nintendo Switch Online service. However, you'll need to have an active NSO membership in order to play, since it is an entirely online multiplayer game. Yep he had literally all of them, lol. I don't know why I didn't get KO credit, I was fighting him 1v1 for a little while. I just started playing this and I can't stop playing it but I'm bad at it, I think 9th is my best finish. Give me some tips on the strategy side of this thing! Should I just use the attack presets at the top? What's the best order I keep trying to manually target people who are close to dead but that doesn't seem to be getting me many KOs, and then I end up falling behind on the Tetris while I'm busy scanning the field. There are elements of luck to the game. Sometimes it seems like I am barely targeted in the first 50, and other times I get slammed. Very little room for error in the top 20. I usually target attackers most of the game. It is really hard to pay attention to targeting when the game speeds up, just have to do your best. Playing when Japan’s asleep can help too. If you're getting focused you can sometimes get people off you by switching targeting modes around. They might have attackers mode on as well and that's why they're targeting you. Not sure how it works if both sides are using it. I could see that helping to escalate stuff. Your objective is to get badges in time for the late game for the attack bonus. I only use KOs or Attackers targeting modes - KOs by default to score kills, Attackers if I have more than one attacker (since it multiplies your attacks to all of them), or if you're in trouble and want to slow down your single attacker by sending them trash. Also if possible it's better to let trash hit you and send it back rather than neutralizing it, but prioritize survival and keeping your board manageable. Especially late game, you need to be able to clear away your own lines at a moment's notice to clean up trash ASAP, so don't hold out for tetrises at the expense of a clean stack. I played my first game the night it came out, so I think it might have been easier back then. I won my first game. woohoo! i played again last week for a couple of hours and it was way harder. did have mostly top 10 and a couple of wins. Awesome. I still haven't hit a #1, but several 2 and 3s.